It has been a whirlwind of activity around here. My sister Jasmine got married this past weekend. I was the matron of honor, my husband was a groomsmen, and my daughters were the flower girls. April was a busy month. I can't wait to share pictures when the photographer gets the pictures to Jasmine in a few weeks. It was all very beautiful. 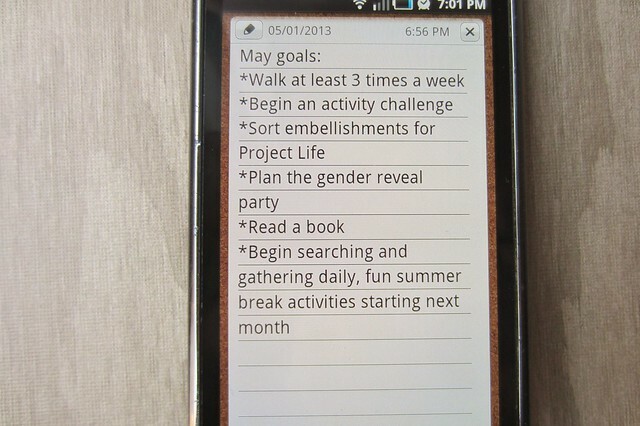 I am ready to tackle May, and have very high hopes for accomplishing all of my goals this month. Read more about my goals for 2013 here.